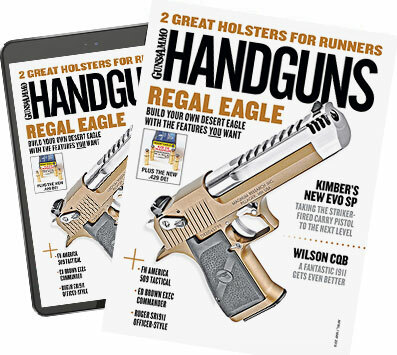 Reloaders have long had to regard used .40 S&W brass with suspicion as many of the cases suffer from a bulge after being fired through some makes of semiauto pistols, particularly Glocks. But now Redding has ridden to the rescue with a new push-through die--the Redding G-Rx--that fully resizes the bulged area of the case back to SAAMI specs. After running it through the G-RX die, the case can be resized in a standard resizing die for reloading. The Redding G-Rx die set is comprised of a pusher rod that fits into the ram like a shell holder and a push-through sizing die with lock ring. Simply place the case on top of the pusher and raise the ram to push the case through the die. A rebated section at the top of the die allows easy case removal.